Great Barrier Reef (Australia) — Over 2,300 km (1,400 miles). The Great Barrier Reef is made up of over 900 islands and 3,400 reefs, covering a surface area of approximately 344,400 sq. km (133,000 sq. mi.). It is the largest structure on the planet built by living organisms. The Great Barrier Reef is home to more than 1,500 species of fish, 400 species of coral, 4,000 types of mollusks and more than 200 species of birdlife. It is a very popular destination for scuba divers. From space, the Great Barrier Reef looks like a string of iridescent aquamarine jewels around Cape Flattery, Australia. 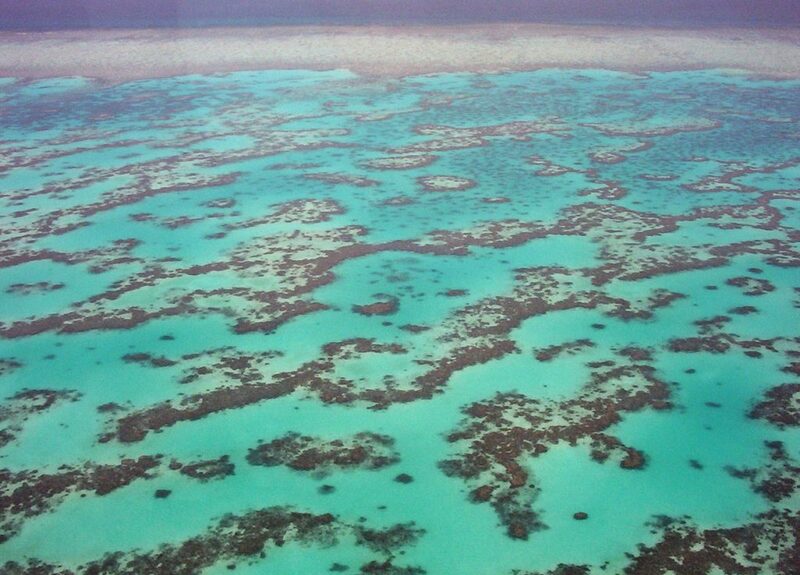 In this northern zone the barrier reef forms a nearly complete ribbon along the margin of the continental shelf. The Mesoamerican Barrier Reef System, which includes Arrecifes de Cozumel National Park, the Belize Barrier Reef, Cayos Cochinos Marine Park, Hol Chan Marine Reserve (Belize), and Sian Ka’an biosphere reserve, is the largest reef in the western hemisphere, with a length of over 1,000 km (620 miles), from the tip of the Yucatan Peninsula to the Bay Islands of Honduras. 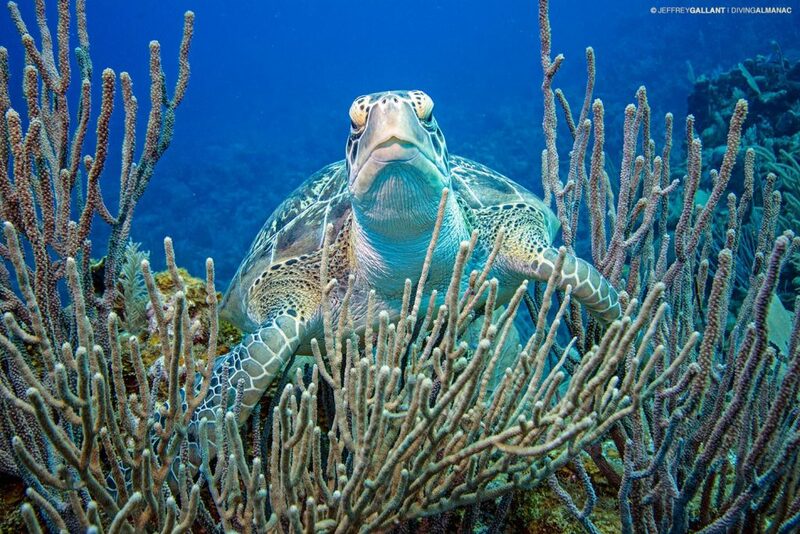 However, only the portion comprising the Belize Barrier Reef is a true barrier reef. The Belize Barrier Reef is roughly 300 km (190 mi.) long and it covers a total surface area of 960 sq. km (370 sq. mi.). The Belize Barrier Reef is a UNESCO World Heritage Site that comprises three non-volcanic atolls – Lighthouse Reef, Turneffe Atoll and Glovers Reef – which are uncommon in the Caribbean, as well as the Great Blue Hole. The Belize Barrier Reef is also a double barrier reef, one of only six on the planet, where the second barrier reef has formed over subsiding islands or shoals. The Mesoamerican Barrier Reef System is estimated to contain at least 65 stony coral species, 350 species of mollusk, and over 500 species of fish. It is also home to over 1,000 manatees. 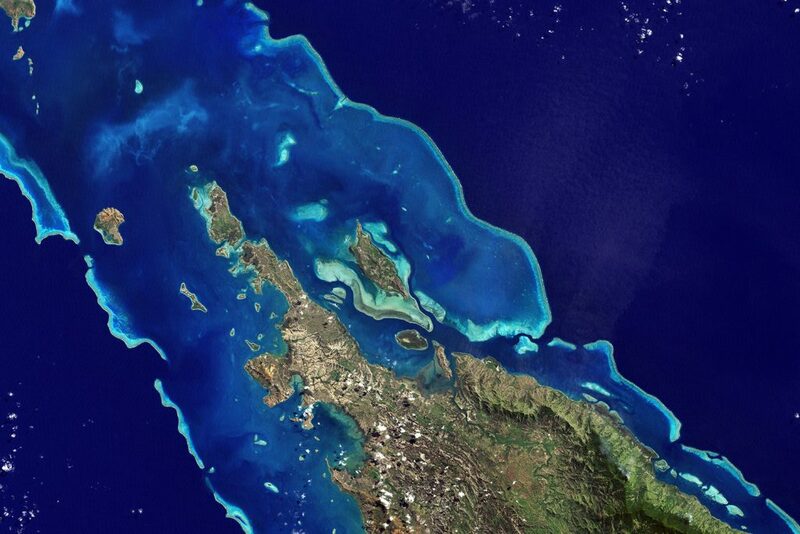 The New Caledonia Barrier Reef surrounds Grand Terre, Île des Pins, and several smaller islands. It is also considered a double barrier reef, yet long portions of the reef form a single barrier. Its total length, including the single and double reefs, as well as discontinuous segments, is nonetheless 1,500 km (932 miles). The New Caledonia Barrier Reef also surrounds the world’s largest coral reef lagoon covering 24,000 sq. km (9,266 sq. mi.) with an average depth of 25 m (82 ft), and which is home to the world’s third-largest population of dugong. All three barrier reefs can be seen from space, however, the Great Barrier Reef is obviously the most visible. Although the title for the world’s largest barrier reef unquestionably goes to the Great Barrier Reef, the title for the second largest barrier reef, be it a single or double barrier, or measured by surface area is open to debate, as is apparent by the many conflicting claims bestowing the title on either of the smaller, yet no less impressive reefs. The Great Barrier Reef World Heritage Values. Department of the Environment and Energy (Australia).